Legislation proposed on the last day of January would largely exempt state legislators from the Public Records Act according to the attorney who led the fight against a similar bill last year. 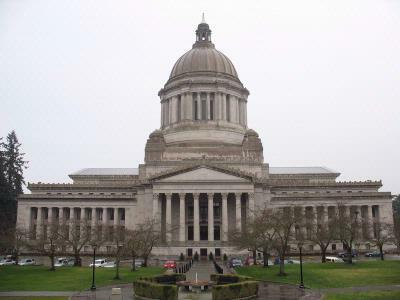 That bill was passed in a last-minute move after a Thurston County Superior Court judge ruled in January 2018 that the legislature was subject to the Public Records Act and had not been in compliance for years. Both sides appealed the decision and litigation is still ongoing in the Washington Supreme Court. A public outcry over last year’s bill led to the intervention of Governor Jay Inslee who negotiated a truce between the legislature and the newspaper industry, which sought to force the lawmakers to adhere to the requirements of the act. Senate Bill 5784, sponsored by Senator Jamie Pedersen, D-Seattle, explicitly outlines exemptions that would apply to the legislature. "The people of our state value both open government and effective government. This bill attempts to strike a balance between those important principles," Pedersen said in introducing the new bill. The bill is unsatisfactory, according to Michele Earl-Hubbard of Allied Law Group who represented 10 news organizations, including the Associated Press, the Washington Newspaper Publishers Association, and the Seattle Times, in the suit against the legislature. The new bill introduces the term "legislative branch" which is defined as including the Senate, House of Representatives, and the Legislative Ethics Board, joint committees and "any other agency that is subject to the direct control of the Senate or House of Representatives." The legislative branch term is carried throughout the bill, as an addition to "state agency," previously used in the bill. In the court ruling, the legislature was not considered an agency; however, individual legislators’ offices were considered agencies, making them subject to the Public Records Act. Earl-Hubbard said she "can’t see what’s left that the public would get to see" under the proposed bill. The proposal would distinguish legislators from other elected public officials in that they would not be subject to the same laws, she said. It would also continue to restrict information on misconduct allegations, which Earl-Hubbard says was at the heart of the media’s lawsuit. "I was very disappointed when I read the bill," said Earl-Hubbard. "This is being hyped as legislators claiming to have heard the message from the public last year." In response to criticism, Pederson emphasized that changes will be made to fine-tune the bill as it moves through the legislative process. On releasing misconduct records Pederson said he and his colleagues worry that a lack of protections could cause a "chilling effect" for those coming forward with misconduct allegations. "If coming forward in this environment means everything you say can end up on the front page of the Seattle Times, you might choose to suffer in silence," said Pederson. Under Pederson’s proposed bill raw investigative material like witness statements would be withheld from public record but the investigative report and determination on the allegations would be released after a determination is made. At least, said Toby Nixon, president of the Washington Coalition for Open Government, "they’re putting something on the table so we can start talking about the issues." The bill last year was passed without discussion and on short notice, said Nixon. • drafts of bills or amendments that were never introduced. SB 5784 is currently scheduled for a hearing on February 13.